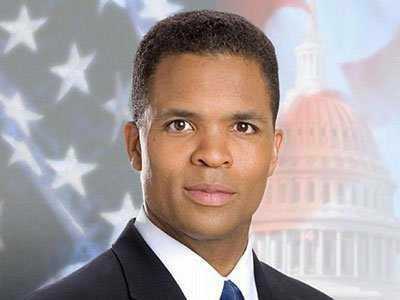 WASHINGTON (AP) — Former U.S. Rep. Jesse Jackson Jr. was charged Friday with scheming to spend $750,000 in campaign funds on personal expenses. His wife was charged with filing false income tax forms.Federal prosecutors filed a charge of conspiracy against the former congressman and charged his wife, Sandra, with one count of filing false joint federal income tax returns for the years 2006 through 2011. Both agreed to plead guilty in plea deals with federal prosecutors. The charges represent a dramatic fall from political prominence for the couple. The son of a famed civil rights leader, Jackson entered Congress in 1995 and resigned last November. Sandi, as she’s known, was a Chicago alderman, but resigned last month. Jesse Jackson Jr.’s spending included $43,350 on a gold-plated, men’s Rolex watch and $9,587.64 on children’s furniture, according to court papers filed in the case. “Defendant Jesse L. Jackson Jr., willingly and knowingly, used approximately $750,000 from the campaign’s accounts for personal expenses” that benefited him and his co-conspirator, who was not named in the one-count criminal information filed in the case. The filing of a criminal information, rather than an indictment, ordinarily signifies that a defendant is preparing to plead guilty. Tom Kirsch, an attorney for Jackson’s wife says she has signed a plea agreement with federal prosecutors and would plead guilty to one tax count.